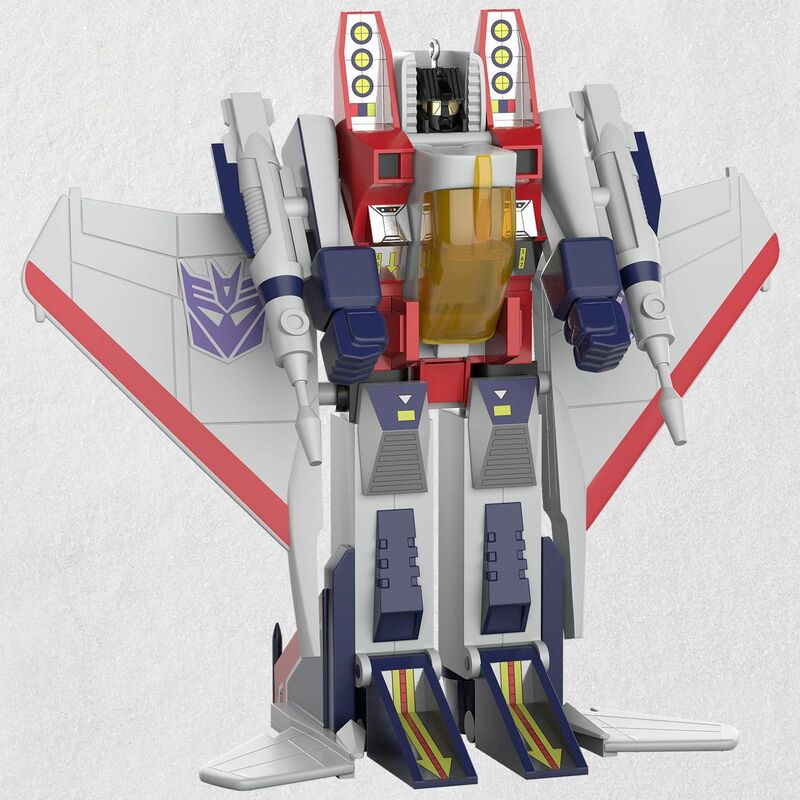 Hallmark has revealed their 2018 Transformers G1 Ornament, and this time around it’s Starscream! 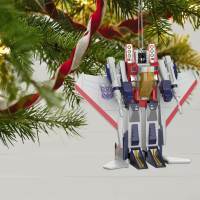 Hallmark has been releasing G1 themed ornaments each year for a while, and over the last couple they’ve gone with a recreation of the G1 toys as their primary aesthetic. 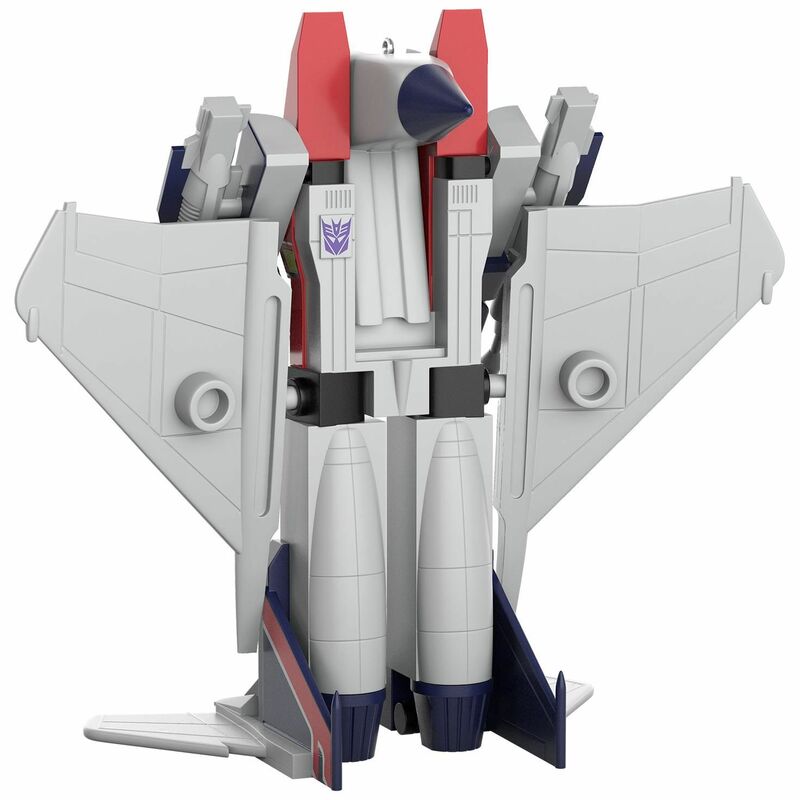 We’ve got G1 Prime, G1 Megatron, G1 Soundwave and G1 Grimlock all with toy inspired molds. Now the first Seeker will be joining the ranks. 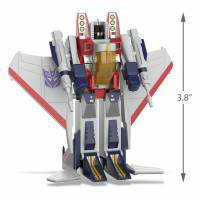 He will be available in July 2018 for $15.99 online and at Hallmark retail stores across the country. 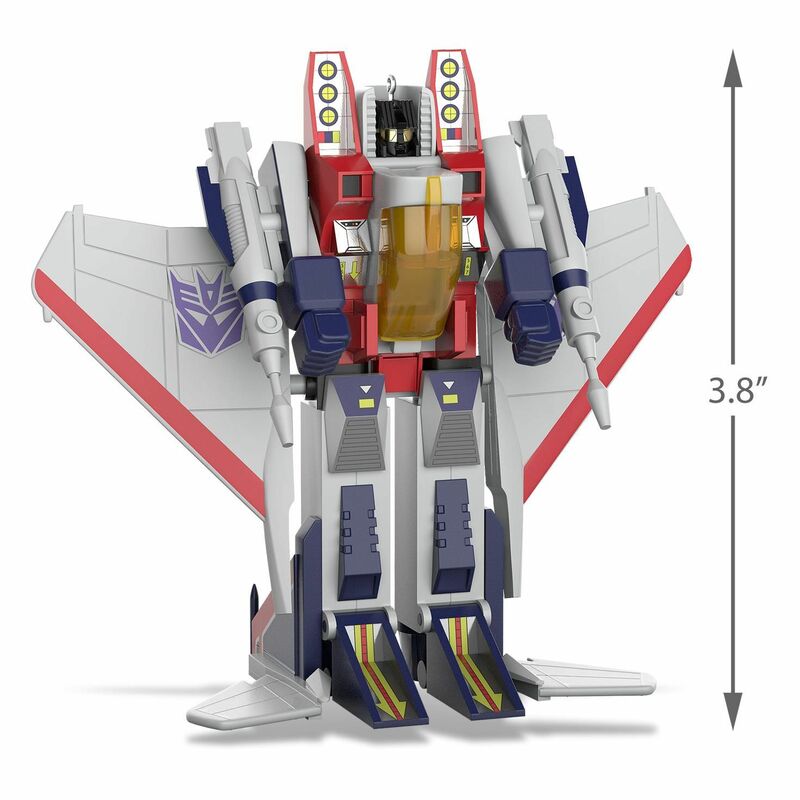 So long, Autobots! 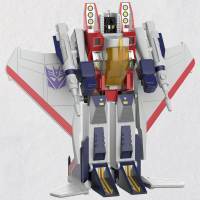 It’s time for action with Starscream™, the power-hungry Decepticon Air Commander who considers himself the leader of the future. Fans of the classic Transformers® robots will relive the excitement of childhood each holiday season as they unbox this Christmas tree ornament. Plastic Christmas tree ornament is lead-free and measures 4.28″ W x 3.8″ H x 2.16″ D.
Neat! 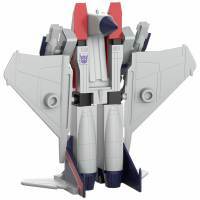 I already got the other four so this is a must but even if I didn't have the others this would still be a must… Its Starscream!